Brazilian Jiu-Jitsu is a guide to the most efficient and devastating techniques in popular martial arts by World Champion and Brazilian Jiu-Jitsu legend Alexandre Paiva. The book contains over 1,000 full-color photographs demonstrating the moves that made the author the most feared competitor in BJJ circles and now one of the most sought-after instructors. Jiu-Jitsu or Jujutsu came into prominence in the early 90's when jiu-jitsu expert Royce Gracie won the first, second, and fourth Ultimate Fighting Championships against much larger opponents who were using other styles such as boxing, muay thai, karate, and wrestling. Since then it has become one of the most popular methods in MMA due to its focus on ground fighting. 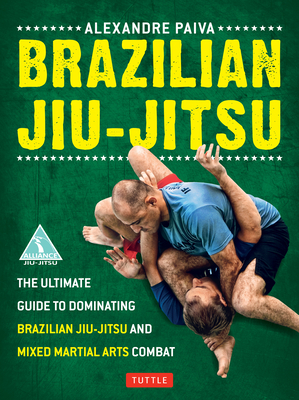 With sections devoted to both gi and no-gi techniques, whether training for a Brazilian Jiu-Jitsu tournament or a Mixed Martial Arts fight, Brazilian Jiu-Jitsu is one book no true competitor can afford to miss. Alexandre "Gigi" Paiva is a legendary figure in the world of Brazilian Jiu-Jutsu. He has been World Champion, Pan American Champion, World Bronze Medalist, and five-time Champion of Campeonato Internacional de Masters e Seniors de Jiu-Jitsu. He is also one of the founders of Alliance Jiu-Jitsu--the only team to win every major BJJ competition in a single year--and heads their academy in Rio de Janeiro, Brazil. Paiva's students include two-time World Champion Fernando "Terere" Augusto da Silva and Mitsuyoshi Hayakawa, two-time winner of the All-Japan BJJ Open.